Refreshed for the 2014 model year, the Honda Odyssey provides core safety upgrades, sharpened exterior styling and a revised interior with a host of new features and technologies including the only in-car vacuum, HondaVAC™. 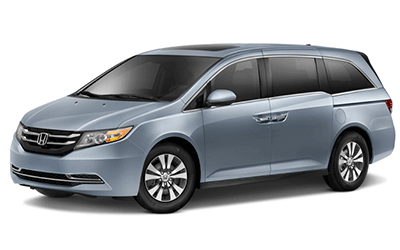 The used 2014 Honda Odyssey is available at our trusted Honda dealer serving Jackson MS. The Honda Odyssey Touring Elite edition is equipped with HondaVAC, the first-ever in-vehicle vacuum system. That means easy clean-up after the kids’ football practice, and pets can come along for the ride. 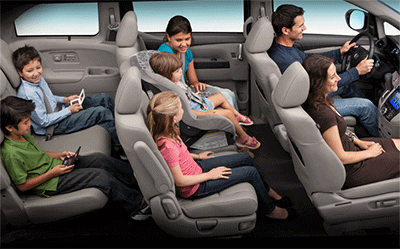 Change the seating to accommodate your lifestyle, with room for everyone and everything in your Odyssey. The Odyssey minivan does more than fit its owners’ needs by offering a vast amount of cargo and passenger space. It’s family friendly and offers more room. The high-output, 3.5-liter, 24-valve, SOHC i-VTEC® V6 engine produces 248 hp and an equally impressive 250 lb-ft of torque, giving the Odyssey strong performance. With an *EPA-estimated 19 city / 28 highway mpg rating, the Odyssey is both an efficient and potent performer. The pre-owned 2014 Honda Odyssey is available at our trusted Honda dealer serving Jackson MS. The Honda Odyssey Touring Elite edition is equipped with HondaVAC, the first-ever in-vehicle vacuum system. That means easy clean-up after the kids’ football practice, and pets can come along for the ride. Change the seating to accommodate your lifestyle, with room for everyone and everything in your Odyssey. For 2014, the Odyssey got new aluminum exterior parts including the hood, fenders, a revised front end, and a more sophisticated exterior style. The Odyssey is also loaded with useful, cutting-edge technology designed to please everyone. There’s a long list of standard features in the 2014 Honda Odyssey that Jackson MS Honda drivers will be sure to love, including Bluetooth configuration and the One Motion 60/40 Split 3rd Row Magic Seat. The innovative HondaLink brings everything you need into the center dash to make your journey a unique experience. Make backing out of driveway easier with the available Multi-Angle Rearview camera, designed with guidelines to see everything behind the Odyssey. The 2014 Honda Odyssey also brings an array of safety improvements, including structural upgrades expected to help it achieve top marks to earn IIHS Top Safety Pick+ honors. Last year’s model was a Top Safety Pick, thanks to the Odyssey’s Advanced Compatibility Engineering™ body structure helps protect passengers in a frontal collision. That’s superior safety that offers Jackson Honda drivers peace of mind behind the wheel. Let one of our experienced Honda Sales professional help, call 601-957-3400 or schedule your testdrive today.